Unibet will become the Principal Partner of Aston Villa Football Club and the Club’s official shirt partner from the start of the 2017-18 season, placing us at the heart of English football with the biggest club in England’s second city. In addition to the presence on the front of The Villan’s eye-catching new kit, Unibet will also be on the front of the Aston Villa Ladies’ team shirts. Sam Mead, Head of Marketing UK for Unibet, said: “We are delighted to be partnering with Aston Villa in their push for promotion back to the Premier League. Unibet and Aston Villa are two of the biggest names in our respective fields with a rich heritage; Unibet genuinely understand football fans and, working together with Aston Villa, will be ensuring we enhance the enjoyment of their fans in all aspects of the beautiful game. 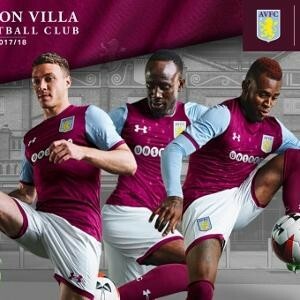 And there will be no delay from the very start of the partnership when Unibet will be giving supporters the chance to be amongst the very first to wear and play in the new Aston Villa kit in a tournament alongside Villa legends and celebrities at Villa’s renowned Bodymoor Heath training ground. Unibet are currently offering Aston Villa as their 8/1 joint-favourites to win The Championship this season whilst Steve Bruce’s men are also considered the most likely to gain promotion back into the top.